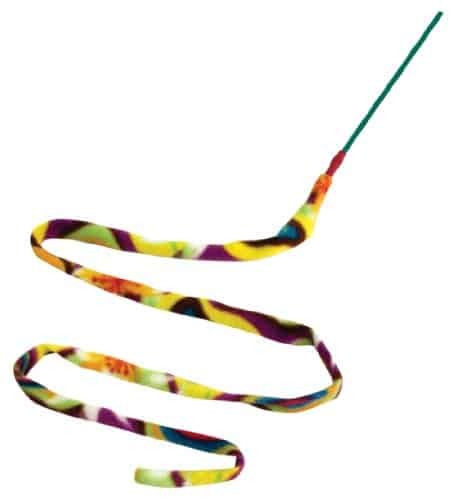 THE CAT’S PAJAMAS – The multicolor cat charmer teaser wand is a great way to play with your cat. 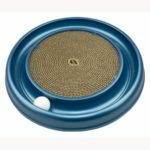 Safe, simple, and one of the prime cat toys your favorite furry one will want. Whether light on its feet or not, your cat will love the cat charmer. FELINE FINE – Aerobic exercise can keep your cat healthy, flexible, and full of fun. This interactive catdancer is designed to charm, not harm. 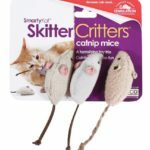 Whether for kittens, cats, or kids, this exercise toy can keep them entertained for hours. 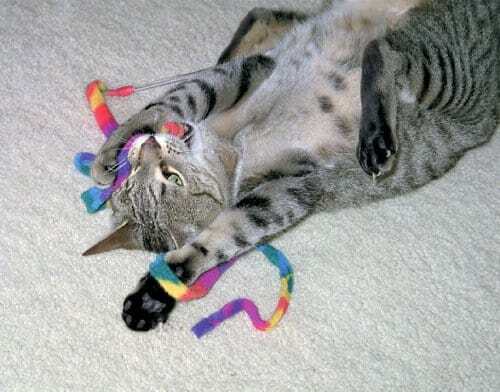 YOU’VE CAT TO BE KIDDING – A good toy given to the wrong pet can be a bad toy. No fear here! This interactive no harm cat dancer cat toy lets your favorite play cat and mouse with a colorful fabric ribbon it will love no matter what. 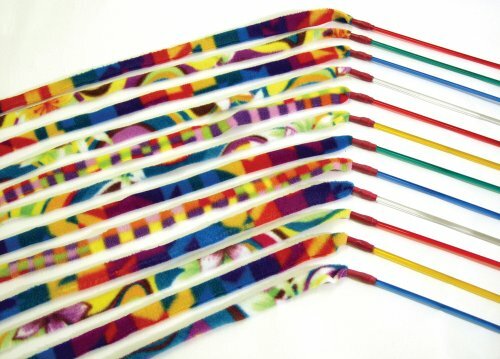 THE WHOLE KITTEN KABOODLE – Our interactive cat and kitten toy wands are made in USA and use a safe, strong polycarbonate wand and attaches to four feet of colorful fabric. 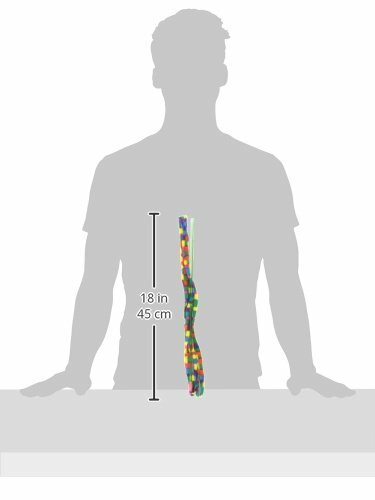 This multicolor fleece stays connected to a rubber safety collar and has been tested to over thirty pounds. PAWSITIVELY FUN – The clear polycarbonate wand is for you to hold; the cat chaser cat ribbon is for your cat to chase! 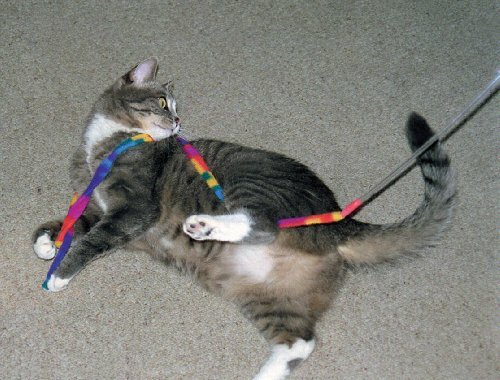 Enjoy fun, exciting, interactive aerobic exercise with your kitten or cat.